Reduce ground water impact with center pivot irrigation. 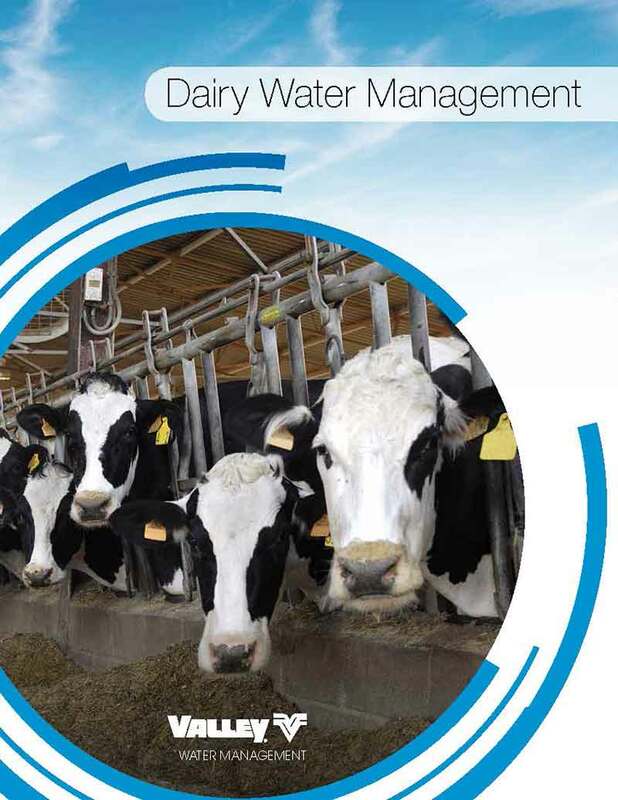 We at Valley® Irrigation understand that manure from dairy operations must be distributed in a way that limits the potential for surface runoff, deep percolation, drift to off-target areas and odor. 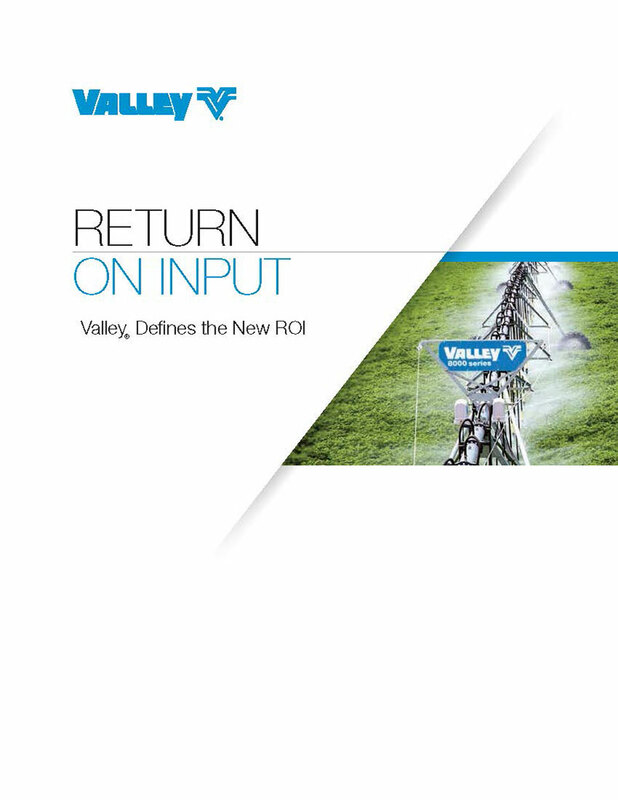 Your local Valley dealer can help you develop a nutrient management plan using center pivot equipment for site-specific application. Irrigate a larger area: Center pivot and linear irrigation can efficiently cover more acres evenly compared to other methods of irrigation. No land leveling needed: When using center pivot and linear irrigation, there is no need to level cropland, as is required when using flood irrigation, which means that precious, nutritious topsoil is not lost. Fewer labor demands: One man can operate several center pivots or linears at one time. Conservation of clean water: By recycling effluent waste on crop lands, fresh water can be conserved. Uniformity of application: An even distribution of material can be achieved easily and automatically. Use less fertilizer: Fertilizer requirements are reduced as process wash water returns many of the needed soil nutrients. The California Regional Water Quality Control Board Waste Discharge Requirements General Order R5-2007-0035 for existing milk cow dairies requires the development of a Nutrient Management Plan (NMP) that provides for the uniform distribution of process wash water at an application that best matches crop needs. 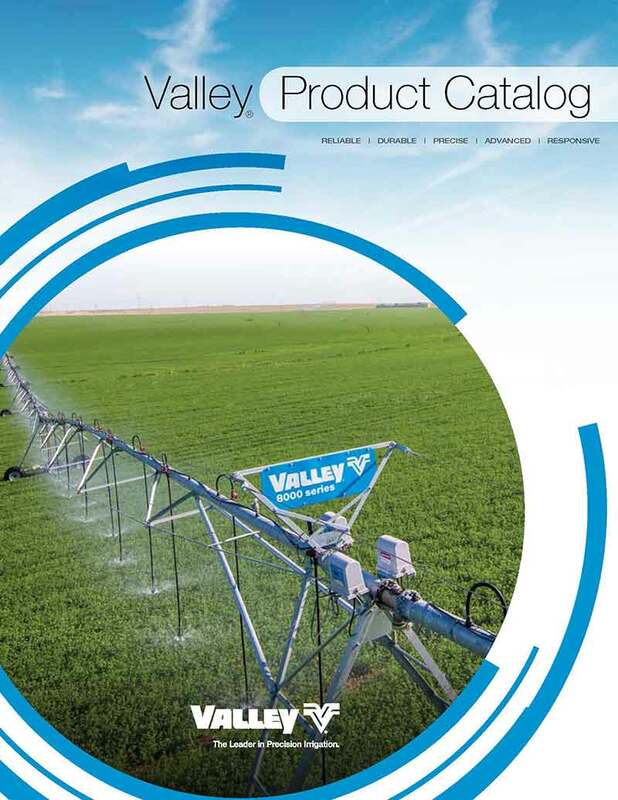 Valley center pivots and linears are ideal irrigation equipment solutions for farm management that can provide dairy operators like you with the ability to apply nutrients at a variety of application rates to best match crop nutrient and water needs during various stages of crop development. The level of nutrient application and control provided by the use of a Valley center pivot or linear allows dairy operators to develop an NMP that minimizes nitrogen and/or phosphorus movement to surface and/or groundwater. When used together, the Valley BaseStation3™ and the Water Sentinel from Cascade Earth Sciences (CES) can provide you with powerful tools to manage the challenges of distributing effluent waste. The BaseStation3 provides you with the ability to monitor and control center pivots with your smartphone, tablet or PC, so you can efficiently manage your operation with less time and labor. The BaseStation3 collects application and flow meter data that can be integrated into the CES Water Sentinel, a standalone, Internet-accessible data management service designed by water management experts to simplify data management at all land application sites. Who is Cascade Earth Sciences (CES)? CES is an experienced consulting firm that provides comprehensive solutions for waste management and environmental problems. Since 1975, CES has provided technical resources for clients requiring assistance in managing municipal wastes, conducting environmental impact assessments, and designing and implementing comprehensive, practical solutions to water management and natural resource issues. CES is uniquely qualified to develop, design and implement a comprehensive water management strategy that encompasses water and energy efficiency, environmental impact, financial stability and profitability.